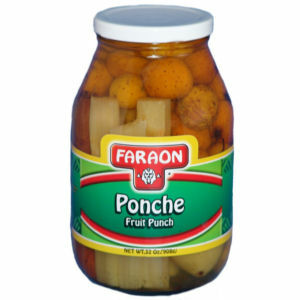 Faraon Ponche packs the most exotic fruits in their most natural and sweet stages to insure complete customer satisfaction. This marvelous product is great for enjoying as a dessert, using as a base for the famous "ponche" drink or for anytime you just have to have something sweet and natural. Enjoy.